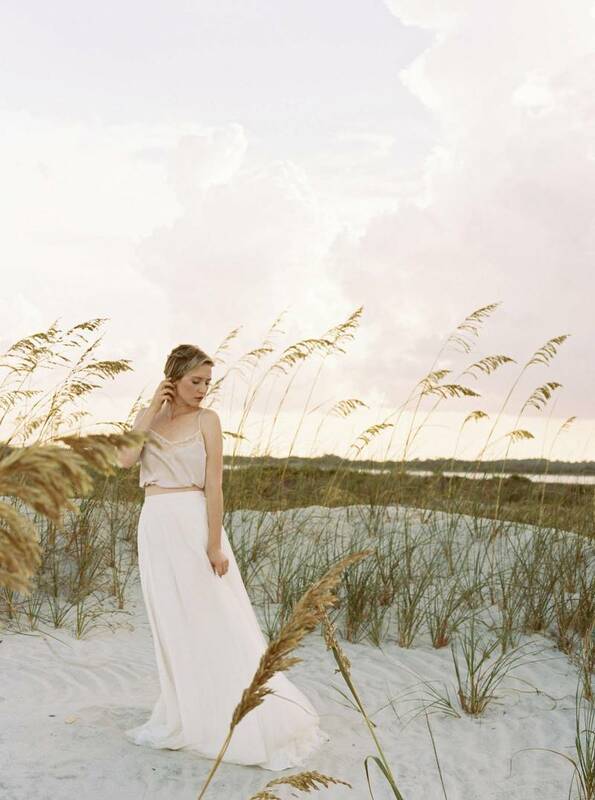 Showing off some beautiful dusk light STEFANIE KEELER PHOTOGRAPHY captured this prettiest of bridal shoots amongst the sand dunes of Huguenot Memorial Park in North East Florida. 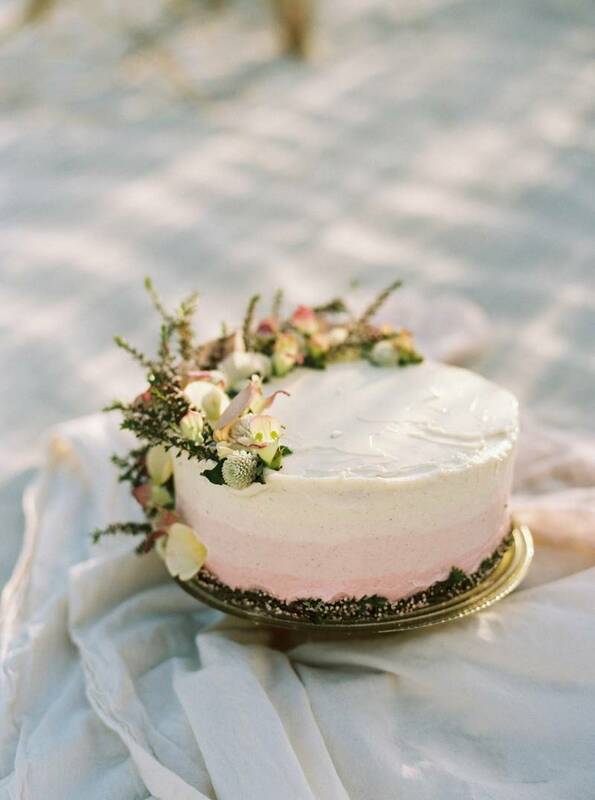 Teaming up with THE WILDING COLLECTIVE who styled it and created the florals, they were inspired by the blush tones of sunset and wind-swept soft fabrics. Aiming for a less traditional look and instead, more dreamy and free they were inspired by impressionist paintings that were soft with movement but had an almost delicate look to them. 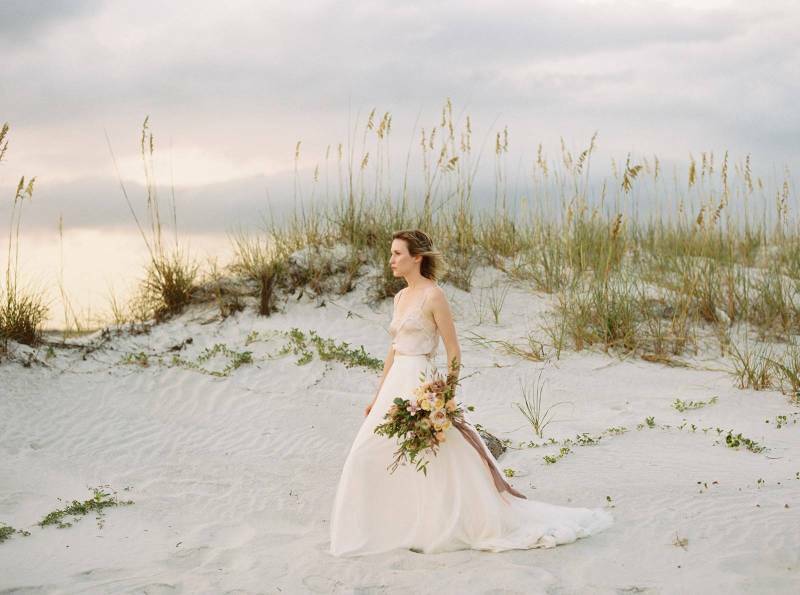 Keeping it simple, their model wore tiny rings, a silk top from FREE PEOPLE and a billowing skirt from the WHITE MAGNOLIA. 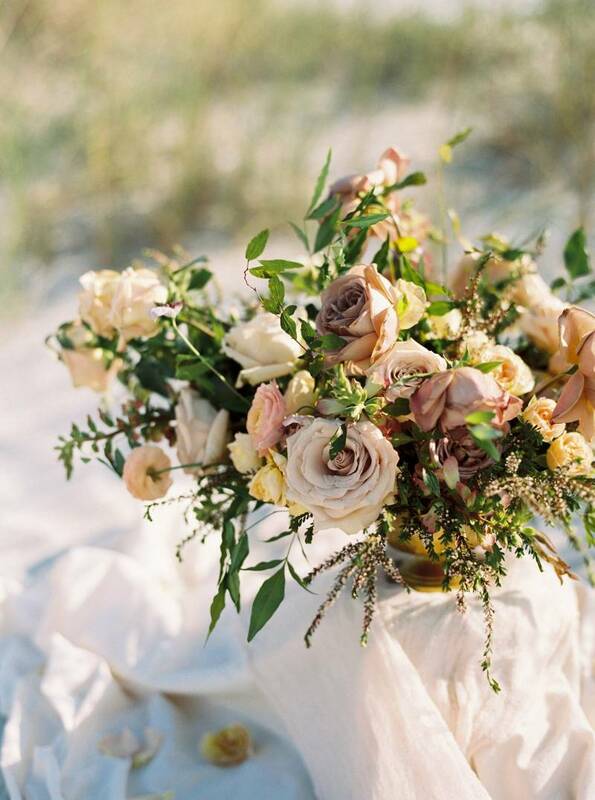 The bouquet and gorgeous arrangement complemented the sand and highlighted the golden light that was being cast by the sun from behind.